Hayden Harshman of the Oceanside Fire Department chops down a fencepost near homes that are threatened by the Silver Fire. 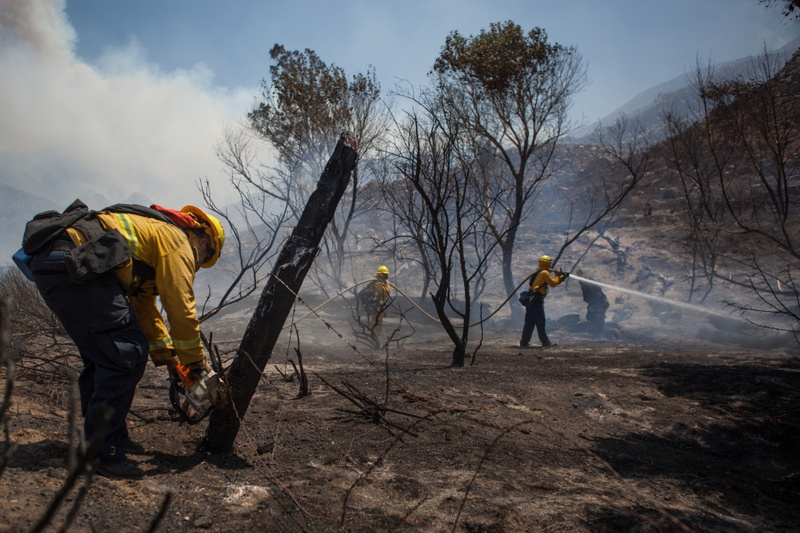 The Silver Fire near Banning continues to spread quickly, and as of now has scorched nearly 16,000 acres and is just 25 percent contained. More than 1,400 firefighters and six helicopters are working around the clock to keep the fire from spreading — and that doesn't come cheaply. CalFire Battalion Chief Julie Hutchinson is here with an update on the fire.